Apple has long allowed new customers to sign up for an Apple ID, which is used to authenticate and manage a user's Apple account across services ranging from iTunes to the online Apple store, using third-party email addresses like those from Google and Yahoo. Until now, the company let users switch their login to another third-party account, but not an Apple domain such as "@icloud.com," "@me.com" or "@mac.com." For example, an Apple ID holder using "[email protected]" might switch their login to "[email protected]," but they were restricted from transitioning to one of Apple's email addresses. That is no longer the case, as one MacRumors reader points out. Earlier this month, the person sent a letter to multiple Apple executives requesting the Apple ID login quirk be fixed. A reply from an executive relations employee said the problem was being reviewed by Apple's engineering team. Today, the reader, identified as Dillon, received a phone call saying the issue has been resolved. 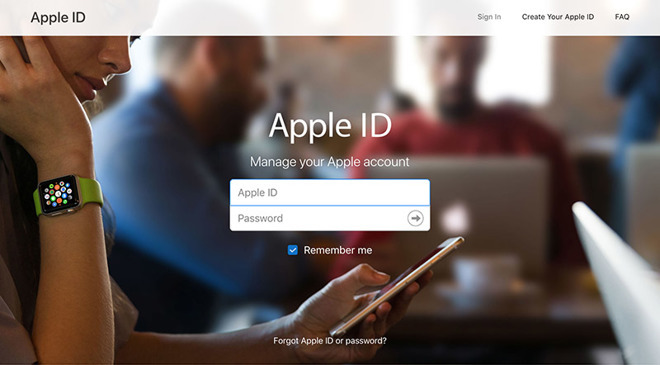 Apple has subsequently updated a support document titled "Change your Apple ID" to reflect the account management modification. As noted in a new section regarding third-party email addresses, the company cautions that switching login information from a third-party service to an @icloud.com, @me.com or @mac.com account is a one-way process. The change should be a boon for users, especially platform switchers, who used a non-Apple email address to set up their Apple ID account before transitioning to Apple's suite of services.